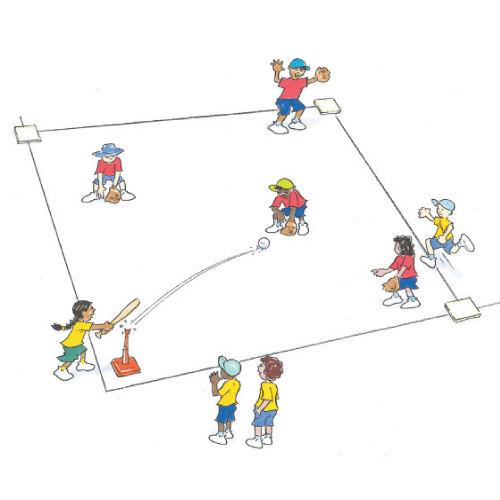 Tee ball is a modified game of that builds on striking and fielding skills and encourages teamwork and thoughtful placement of the ball. It provides a good introduction to softball. Play with a maximum of 6 per team; 1 batting team and 1 fielding team. Each batter hits the ball into the field from a batting tee, then tries to run around the bases while fielders field the ball. Score 1 run for each base touched. How can you work as a team to stop players scoring runs?